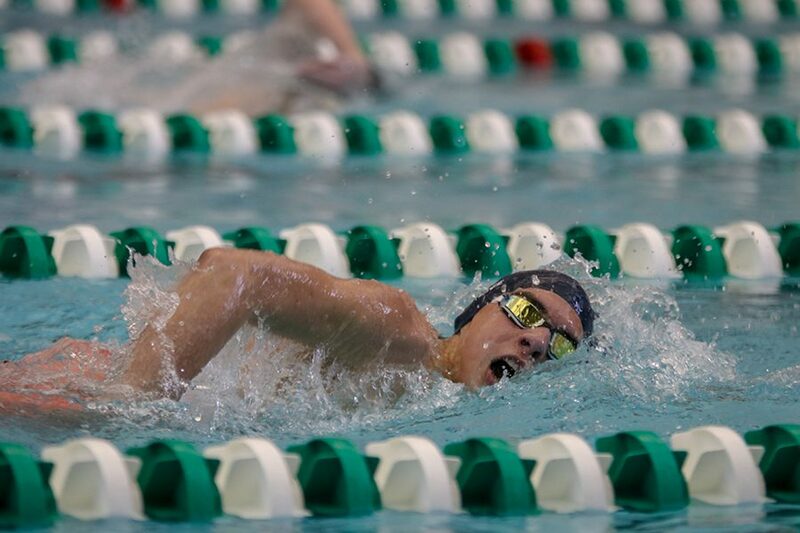 In the middle of the freestyle stroke, sophomore Cole McClure takes a breath of air and continues on with the 500 Yard Freestyle. 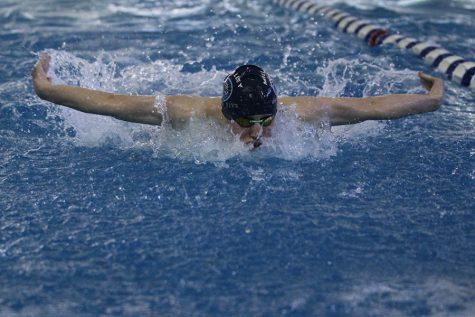 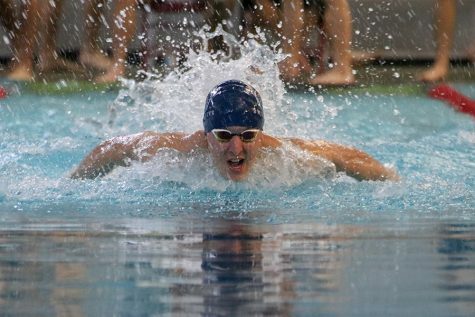 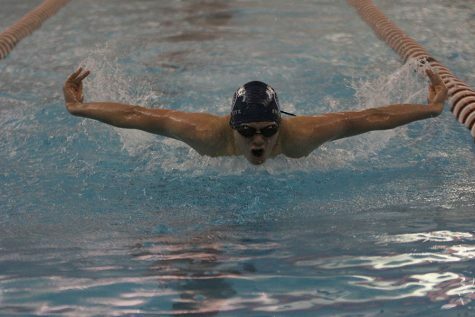 McClure finished 2nd in his heat at the EKL Swim and Dive Championships on Saturday, Feb. 2. 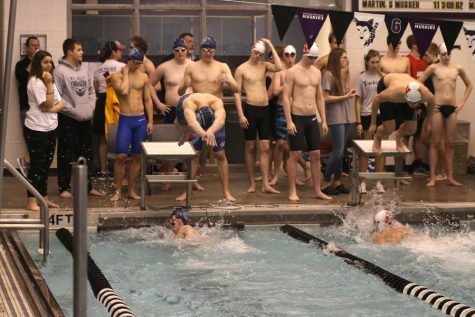 The boys swim team travelled to Blue Valley Southwest High School to compete in their EKL meet on Friday and Saturday Feb. 1 and 2. 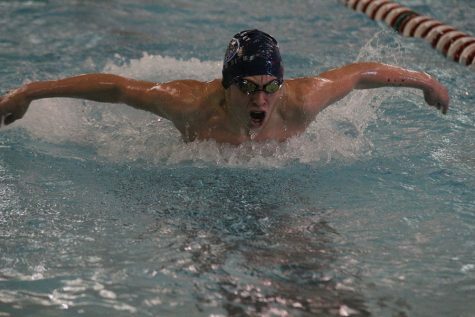 Sophomore Cole McClure felt the meet went very well. 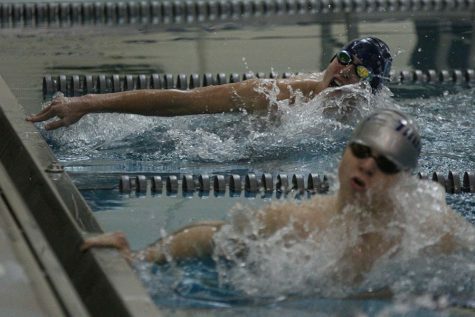 However, according to Junior Avery Lawson, the meet was different from others they competed in previously. 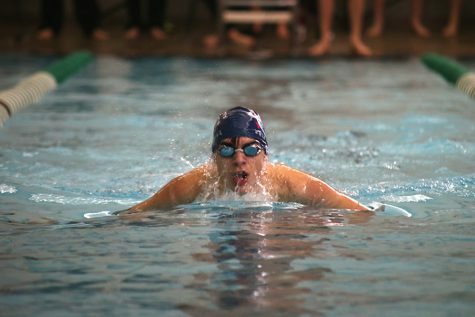 “It was a lot more competitive and the heats were set up different so it was kind of an adjustment,” Lawson said. 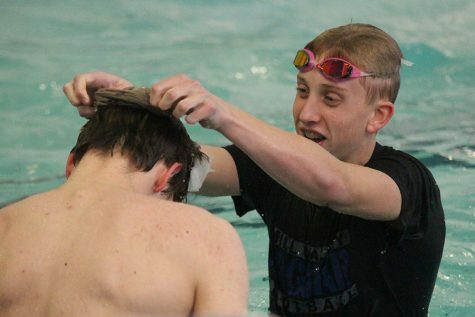 The meet helped the boys bond and increased anticipation state. 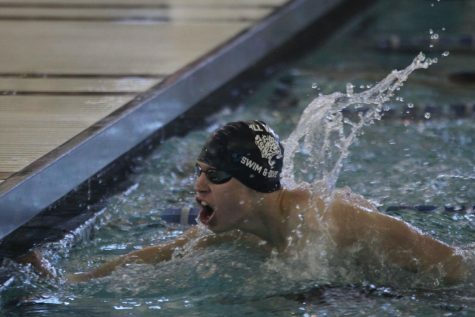 Lawson has already set his own goals for state. 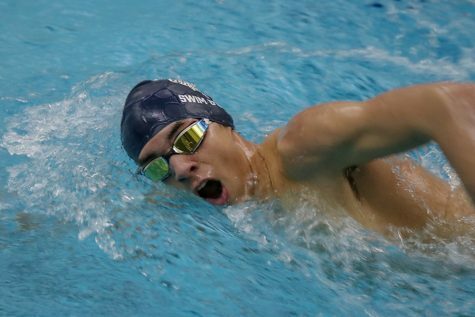 Overall, McClure thinks the meet has helped prepare him for what competition waits ahead at state.